Do or do not. There is no try. 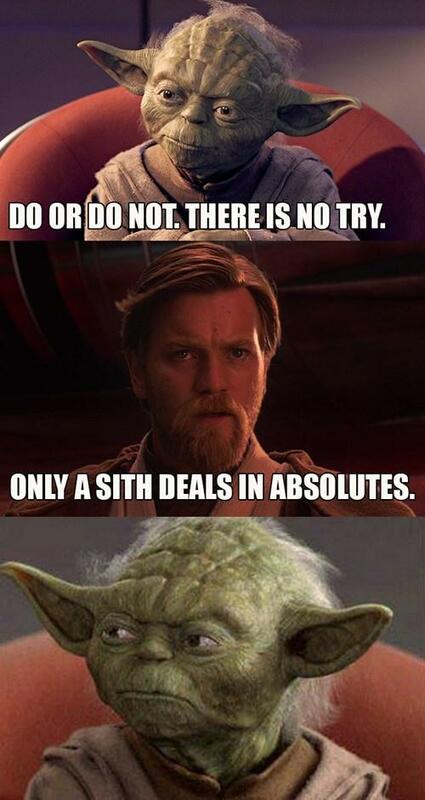 Only a sith deals in absolutes.